Source: Morning Consult – Date: 1-12-18 The U.S. wind industry is supplying rural America with much-needed jobs and new county tax revenue to support the local economy when it needs it most. Millions of Americans are living near wind farms, the wind industry is providing tangible benefits for real, hard-working people. 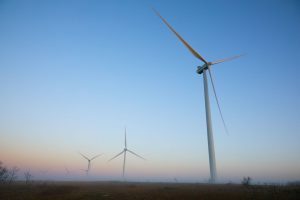 Source: NewsOK – Date: 12-16-17 The Rock Falls Wind Project, in Kay and Grant counties northwest of Blackwell, went operational earlier this month. Officials said work to build the Rock Falls project has created more than 150 jobs and put millions of dollars into the local economy.